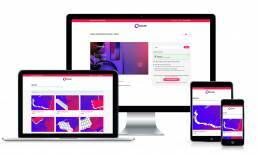 The new Spotify for consumer goods, Grover are revolutionising the way we shop online, allowing users to rent the latest and best in technology consumables. With Grover you can rent high tech instead of buying and return your tech anytime. Less cost and more freedom. Infinite possibilities. From Drones, to Home Cinemas, Computers and Wearable Tech to Gaming systems and VR, Grover have your tech needs covered. VoucherCart are proud to have been selected to provide vouchers for Grover services.